The E-Sub powered subwoofers apply a series of JL Audio’s key technologies to deliver exceptional sound quality, power and value in a wide range of demanding applications. Combining a state-of-the-art, DMA-optimized long excursion driver with a highly efficient, proprietary switching amplifier, E-Subs deliver a level of performance that belies their compact dimensions and cements their value. A totally new switching amplifier was engineered for the E-Subs, with a compact and efficient switching power supply. 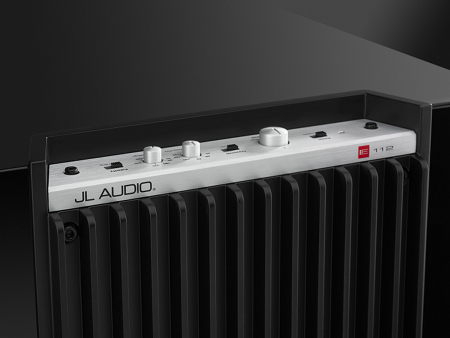 This design allows JL Audio to keep the E-Sub's dimensions compact while delivering ample clean power that will fully exercise the drivers' excursion ranges. Every E-Sub is precision-built in JL Audio's U.S. factory and individually performance-verified and tested to deliver years of listening enjoyment in your home audio or home theater system. The E-Sub® series of subwoofers are equally capable in home cinema and two channel stereo applications with the ability to reproduce extraordinary bass throughout the frequency range. Delivering the lowest most octave with explosive power and control, whilst maintaining resolution of bass detail. Upper bass has an iron fisted control that allows each and every bass note to be distinguished, enhancing musical enjoyment and seamless integration within any system. e110: 10-inch driver, capable of peak-to-peak excursion capabilities well in excess of 2.5 inches, 1.2kW amplifier, sealed enclosure with extensive internal bracing. 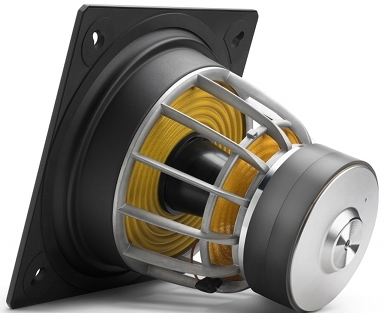 e112: 12-inch driver, capable of peak-to-peak excursion capabilities well in excess of 3.0 inches, 1.5kW amplifier, sealed enclosure with extensive internal bracing. The e-sub® series of subwoofers have a top-mounted control panel, which allows ease of installation and adjustment. The studio grade signal-processing section of the amplifier module is controlled via the top-mounted control panel. This includes an extensive set of signal processing tools aimed at optimising the E-Subs’s performance within your listening space. An attractive cover is also included to hide and protect the controls during normal use. The E-Subs also include an on-board 2-way active crossover, permitting them to support a conventional 2-channel audio system by providing a high-pass filtered output to the main speakers’ amplifier, while delivering a low-pass filtered signal to the internal subwoofer amplifier. A polarity switch and phase control are provided to aid in achieving an optimal acoustic transition between the subwoofer(s) and main speakers. Inputs are via a pair of line level stereo RCA inputs or via a removable plug for speaker level inputs. Each E-Sub® subwoofer incorporates JL Audio’s state of the art purpose-engineered driver, with numerous proprietary patented technologies. 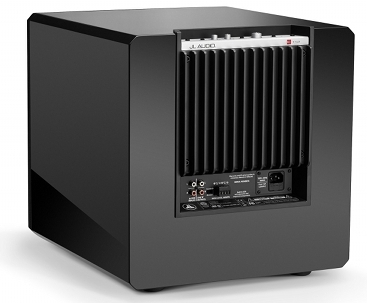 JL Audio’s long-excursion subwoofer driver designs are widely considered as reference standards for linear behaviour and high output. The subwoofer driver in the E-Sub subwoofer system is capable of outstanding linear excursion without distress or audible distortion. This purpose-engineered driver enables the E-Sub to reproduce powerful low-frequency events with stunning impact and outstanding accuracy. The E-Sub drivers offer peak-to-peak excursion capabilities well in excess of 2.5 inches (64 mm - e110), and 3 inches (76 mm - e112) to comfortably handle the dynamics of the most demanding program material. In a stroke of engineering elegance, the steel front mounting flange of the E-Sub driver also forms the entire front baffle of the finished product, while the back-plate of the driver is threaded and bolted to the rear wall of its enclosure for support. To get the most from the E-Subs’s long excursion driver platform, prodigious amounts of controlled power are needed. 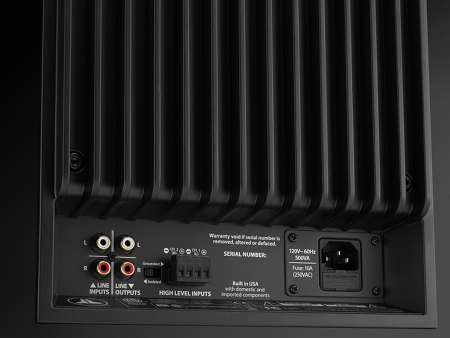 Each E-sub® subwoofer system employs a precisely engineered switching amplifier with patented feedback technology, capable of delivering unclipped output voltage equivalent to 1200 watts (e110) and 1500 watts (e112) of RMS power when referenced to the nominal loudspeaker impedance, allowing JL Audio to take full advantage of the drivers' full excursion envelope. The beautiful cabinet enclosing the workings of each E-Sub is also the result of careful engineering. To contain the pressures created by the E-Sub driver, JL Audio utilised solid, CNC-cut, MDF material with extensive internal bracing features and advanced assembly techniques. 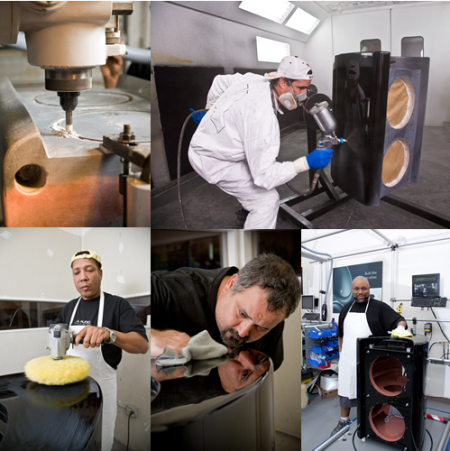 Each E-Sub® subwoofer system’s, form and finish is exquisite with attention to every fine detail of each unit undertaken, hand polished to the highest furniture-grade standards, with precision machined aluminium/stainless steel accents.